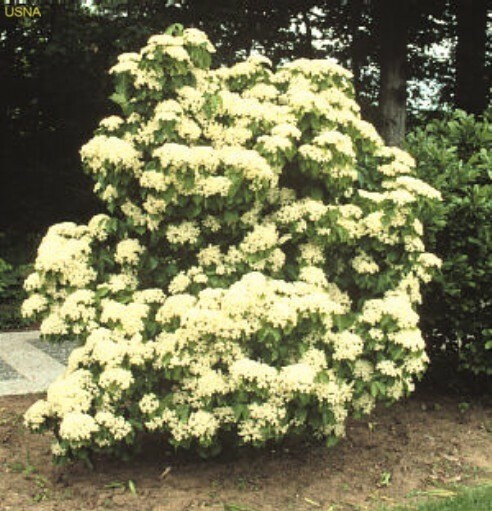 Comments: This viburnum produces large showy flat clusters of white flowers in spring followed by clusters of green berries that turn red, and in late autumn and winter the berries shrivel and look somewhat like raisins. Use this shrub as a specimen or in mass plantings. Birds are attracted to the fruit.